Everyone welcome! Please click on the title for schedule. Our monthly half-day retreat. With a reading and slide show by Myoshin Kate McCandless, “Beings are Numberless: When bodhisattvas get discouraged”, a chapter from the new anthology of Soto Zen women’s writing, Zen Teachings in Challenging Times. Commemorating the Buddha's death and final enlightenment with a ceremony of gratitude. Dharma talk by Shinmon Michael Newton. 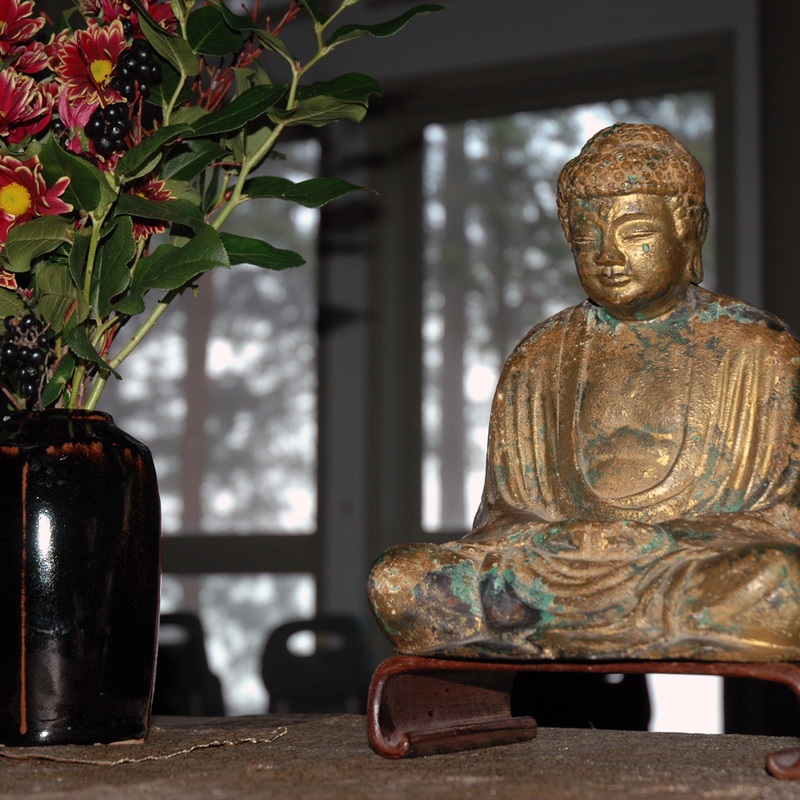 Our monthly half-day retreat, followed by a sangha meeting. Dharma talk by Myoshin Kate McCandless on "Justice and Compassion"
With dharma talk by Myoshin Kate McCandless. A light lunch will be served.